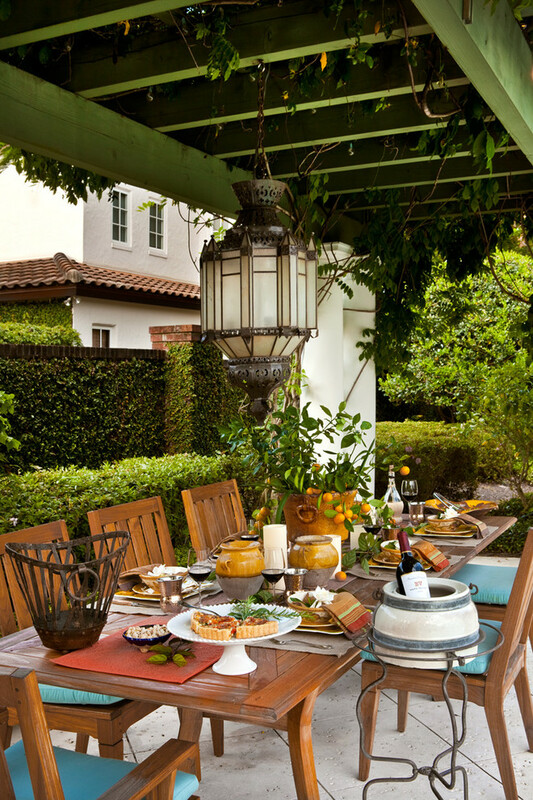 7 Patio Must-Haves for Summer Entertaining! Make your summer patio the ultimate hot spot for you and your friends with these 7 must-have essentials! A hot tub is an amazing addition and investment to your backyard and can provide lots of fun as well as numerous health benefits. Did you know a hot tub can actually benefit your physical health, relax sore muscles, ease chronic pain, and improve your mood? You can make it seamlessly blend it with your backyard, existing pool and purchase tons of hot tub accessories like this romantic waterfall feature! 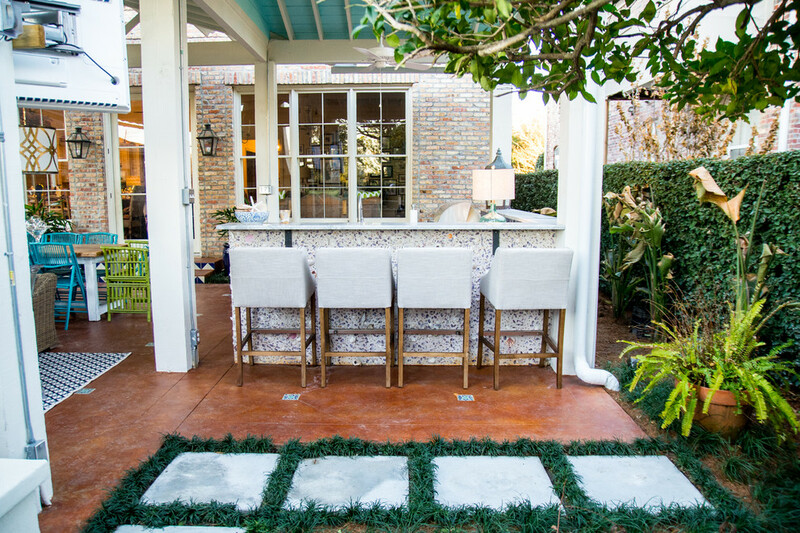 No summer party or entertaining is complete without your own outdoor bar! Serve drinks and snacks in style while pulling up bar stools and cooling off to your favorite martini or a tall glass of cold lemonade. There are tons of DIY options available online that you can even make yourself, so do some research before spending big bucks on a store-bought bar. 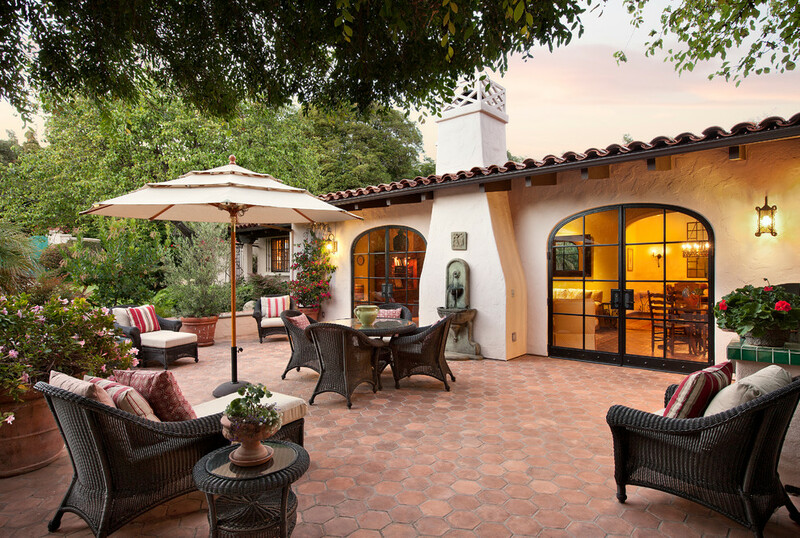 Depending on your mood and the time of day, having various types of seating options for your patio is a must! You’ll get the most use out of your patio if you have ready seating for eating, lounging back, suntanning, or just taking a break. 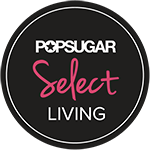 Make sure to have at least dining chairs, a chaise lounge or a regular lounge chair. 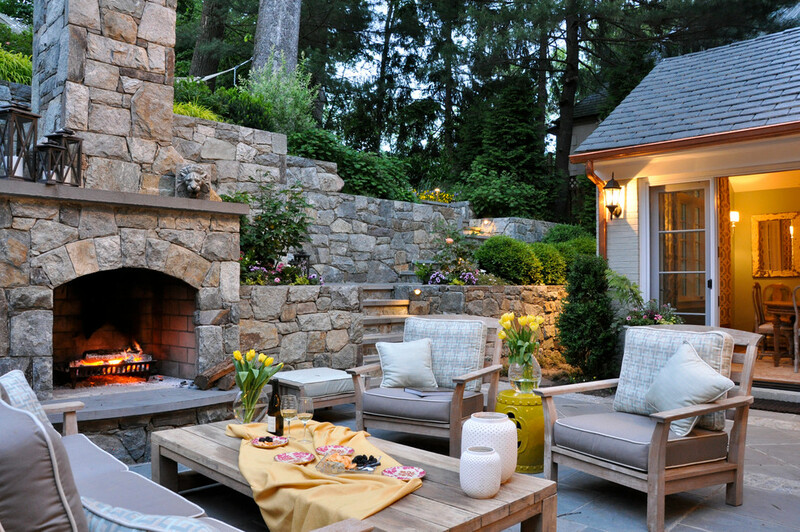 There is nothing better than anchoring an outdoor living room with a outdoor fireplace. What’s even better about a crackling fire is making s’mores, keeping warm, and not to mention fending off mosquitos! It all comes down to the presentation of your meals so do it in style with the right table setting. A rustic style is great for outdoors so consider burlap placemats, terracotta bowls and stainless steel glassware. 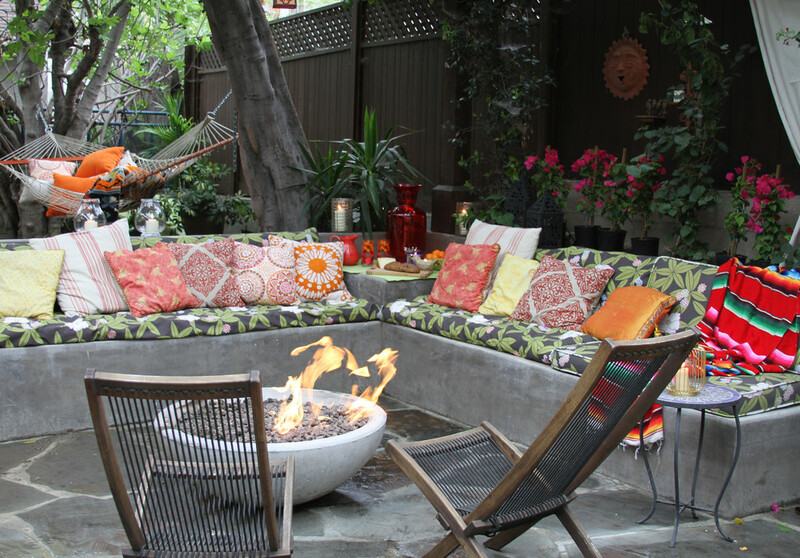 A fire bowl is a great alternative to a full blown fireplace if your budget is a little tight. This big concrete bowl is all you need to get your campfire fix this summer and turn up the fun! Just plunk it down on a cemented or gravel surface, insert some logs and light the fire. You can also use gas or propane fueled bowls if you don’t feel like starting up a fire from scratch. 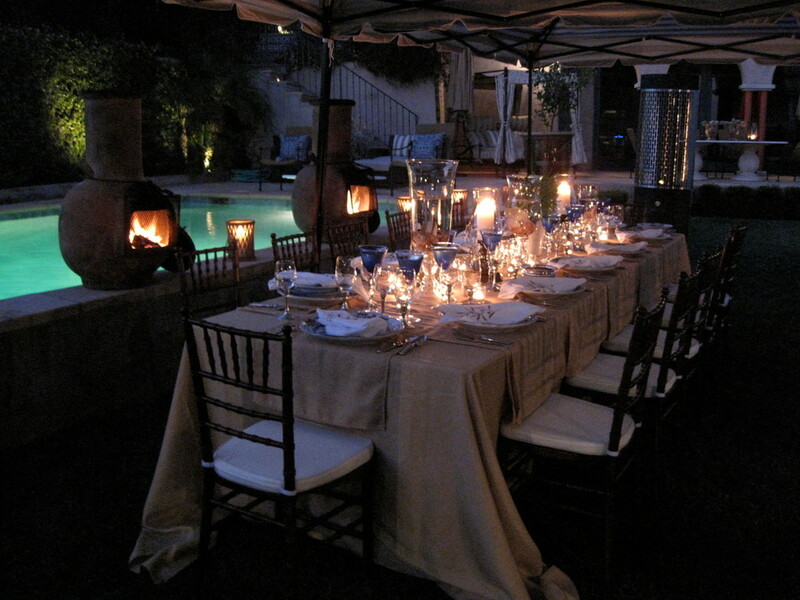 You wouldn’t believe how much mood lighting can make a difference to your patio party and overall ambience. Load up on candles, string lights, fire torches and just about anything that creates a flickering light and sets the mood! This entry was posted in Gardens and tagged candles, easy, fire pit, hot tub, how to, ideas, lounge chairs, outdoor, outdoor party, patio, string lights, summer entertaining, summer party. Bookmark the permalink.